Churchill's Webley & Scott 1913 pistol will be auctioned in December. 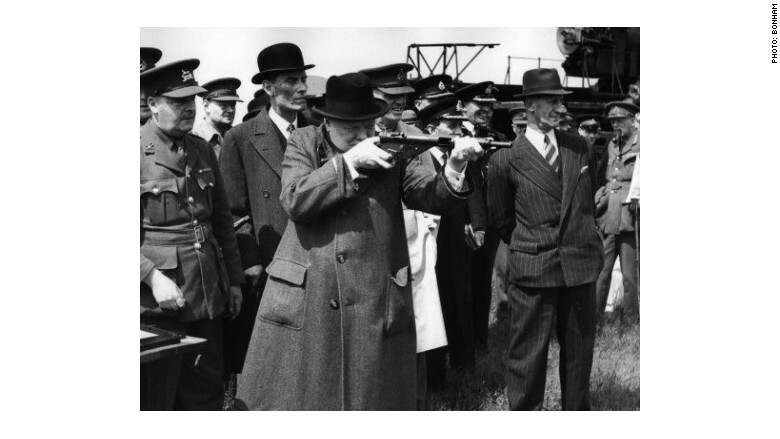 Winston Churchill loved his guns and was known as a great shot. He wasn't afraid to carry a weapon during World War II, and a pistol from his personal wartime collection is going under the hammer in early December. 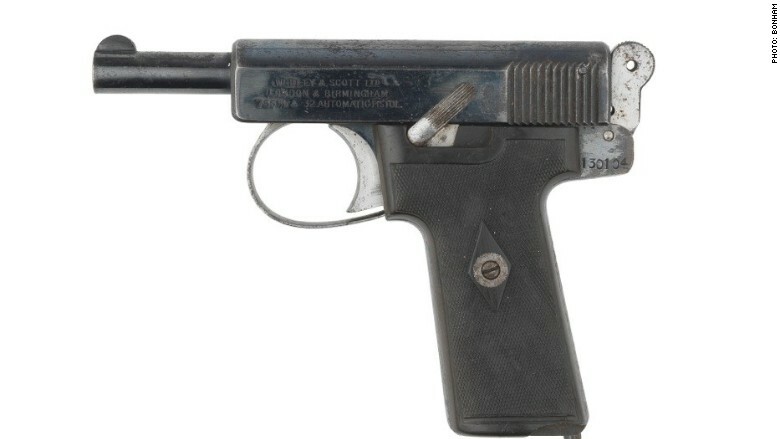 Bonhams auction house is selling Churchill's 1913 Webley & Scott self-loading pistol. It estimates the firearm could fetch £2,000 to £3,000 ($3,000 to $4,000). While it is not known whether Churchill ever used the pistol in anger, Bonhams is trying to whip up interest by noting how many times someone tried to kill him while prime minister. "It's believed that there were some 20 failed attempts to assassinate Churchill during the war, including a bizarre exploding chocolate bar," Bonhams said. Churchill was often photographed firing weapons, including his own personal Sten Mk III sub-machine gun. Sotheby's (BID) auctioned a collection of his daughter Mary Soames' possessions last year for $24 million, including a painting by Winston Churchill that went for $2.8 million. Sotheby's said that was a record for the well known amateur painter.